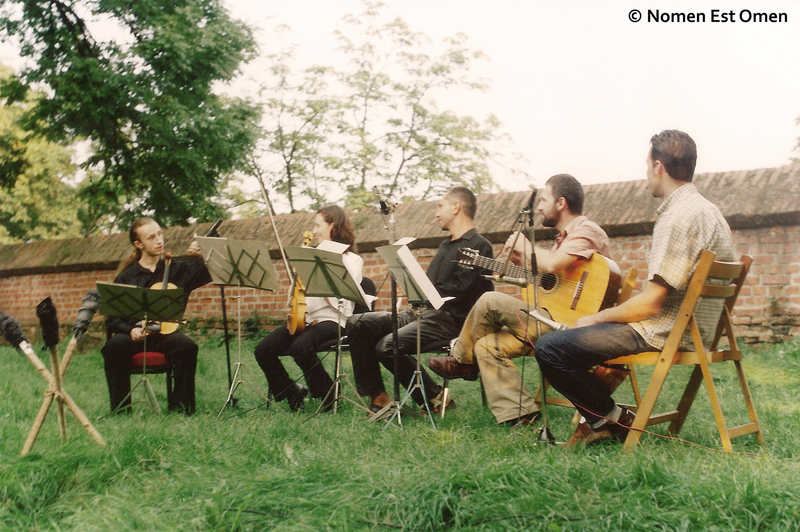 The Medieval and Renaissance Music Ensemble NOMEN EST OMEN was founded by Mihai Plămădeală in 1995, in Bucharest. The first public appearance under this name took place in Sighişoara, at the Medieval Art Festival, in the summer of that same year. Membership has changed several times over the years and instrumental or numerical formulas too (varying between quartet and septet). Constant was and is the approach of the literature on which the musical band repertoire consists. 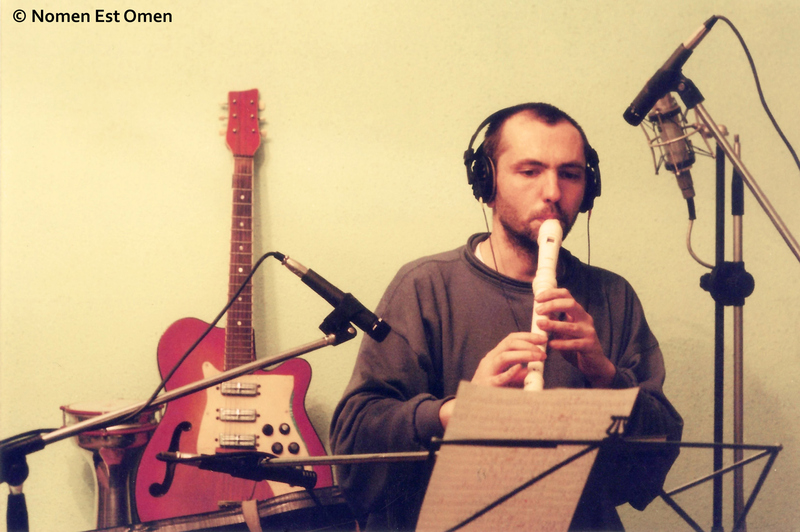 Right from the early years, NOMEN EST OMEN proposes a concept called “The New Old Music”, which involves the interpretation of medieval and Renaissance compositions with today acoustic instruments. Harmony and modal structures are preserved in the recovered version of the documents of the period, the variations and the improvisations being the quotation marks to those “historical” quotes. By 2011, NOMEN EST OMEN made twelve albums, in studio or in concert (including three thematic compilations with songs remastered and bonus tracks), performed hundreds of concerts in Romania & abroad and was countless times broadcasted on TV and radio. To these may be added sound illustrations for an amount of films and documentaries, theatre plays or shows. In parallel with the stage activity, the members of the ensemble hold conferences, lectures, tutorials or workshops on the art, the culture and the civilization of the Middle Ages and the Renaissance, under the aegis of the NOMEN EST OMEN Cultural Association. Nomen Est Omen is a Latin phrase translated as “the name is a sign”. This title was chosen by Mihai Plămădeală for the next band five years before setting it up, inspired from Mircea Eliade and Ioan Petru Culianu specialized literature. The idea embraced is that nothing is accidental in this world, that things are connected through invisible links and that destiny equals fulfilling it. The songs from Nomen Est Omen’s repertoire were composed in different historical times and geographical spaces. In time, they were played under different formulas, were modified or adapted, as elements of a living language, undoubtedly contributing to the birth of the world’s great music that emerged later. The material presented in concerts or albums can not be found in a single codex, the selection and order of songs and musical arrangements belong to Nomen Est Omen. The repertoire is completely concieved starting from a musical piece, a theme, an instrument, a solo or a type of sound. The goal is to put in harmony these “basic elements” in the horizon of expectation of the contemporary man, whose manner of expression is different from the past. Nomen Est Omen makes no claim that comes from the Middle Ages or that someone today would accept this point of view. Do not try to fit in a stream or tendency to connect to an underlying idea, but rather addresses the audience in order to make a new type of public. In this respect might be considered the detachment from the traditionalism, in its bad sense. Through its shows, albums and workshops, the ensemble aims to demonstrate the identity of interpretive rigor and empirical clarity, of formal precision and practical character. Beyond the artistic results achieved, Nomen Est Omen attempts to establish a new stage attitude, which involves not only formal commitments, but define a modern approach to the artistic act, seen as essential means of communication between people. The project, the name and the title of an album (Witchcraze) preceded the appearance of the band with at least five years. One can say that it began to exist somewhat before its foundation. Mihai Plămadeală conducted underground activities since high school years, collaborating with certain ensembles, singers or bands, with the desire to found a progressive rock band. Some of its troops or favorite musicians at that time were: Gryphon, Malicorne, Gentle Giant, Yezda Urfa, Änglagård, The Incredible String Band, Fairport Convention, Pentangle, Bert Jansch, John Renbour, and in Romania Sfinx and Phoenix. They all had in common medieval and Renaissance music used (in part) as a source of inspiration. As the action happens in the late ’80s and early ’90s, when fashion and music trends were different than his artistic intentions, Mihai Plămădeală initially appealed to working with various friends musicians, in order to record in improper conditions some tracks, whose musical ideas later to be used to produce a first album in professional conditions. The model of the interchangeable band from one project to another was inspired by Alan Parsons Project. The period is characterized by experiments lo fi made (mostly) with a Sony tape recorder that allowed recording on two separate tracks. The sequences were recorded (without cable) on a tape in order to release two other channels, then recorded in live interpretation sessions, together with the tape. The process was often repeated until the original sound was completely compromised (voices which better “supported” this technical method were recorded first). Calibration and panning resulted from the buttons volume in relationship with the distances between emission sources and microphone. This was an important training session for the later work with multitracks (analogue or digital), as well as for understanding sound relations with other instruments, without making eye contact with interpreters. Records were not ment to be sold on a market, having only an “internal” guiding role. The information about the recordings of some medieval songs in lo fi quality spreaded in small circles and discussions about the project of a studio band, based on guests from album to album, with the possible convening of interpreters to support concerts, brought in underground environments the idea that the band already existed before its first public appearance under the chosen name. 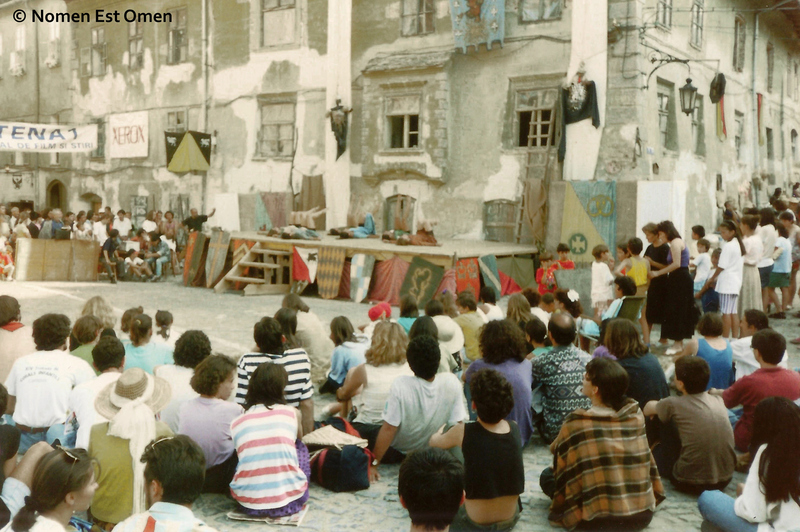 This way, in the summer of 1995, Nomen Est Omen was invited to participate in the Medieval Art Festival in Sighisoara. Organizers had heard word of mouth about the band and they managed to find it without the help of Internet or mobile phone, which then were not yet conquerors among the means of communication. The public’s good reception of the band and its music had a double role: the materialization of the project, Nomen Est Omen having since then a continuous activity, and the establishment of the musical coordinates strictly historically, by the gradual abandonment of (progressive) rock and folk intentions. For a year, Nomen Est Omen worked on these coordinates; the recording of the first album was designed by Michael Plămădeală as a solo project, in which musicians with distinct careers were invited. 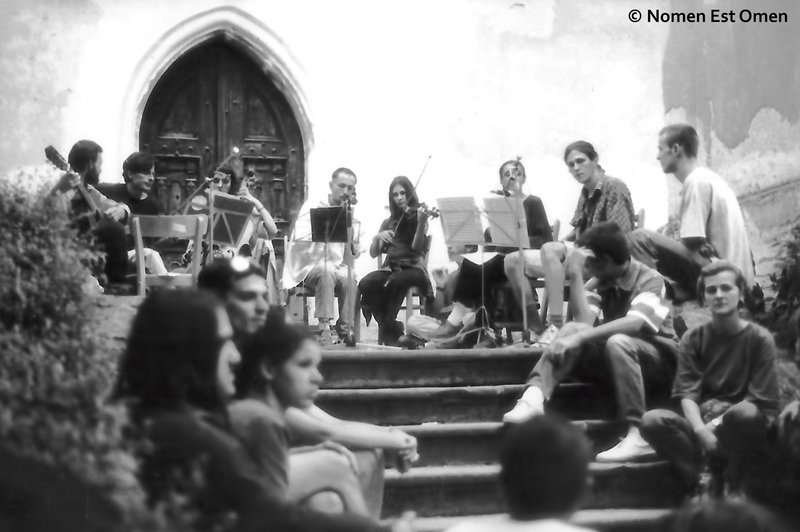 In 1996, the second year of “official” existence, the ensemble experience the first fixed formula, based on the team who performed that year at the Festival in Sighisoara, as a result of increased quality demands (one felt the need for more repetitions and experience of playing together). Collaboration with two musicians invited to that edition of the festival, Laurenţiu Fratoştiţeanu and Cristian Lazăr, will prove auspicious, as they will evolve in Nomen Est Omen until 2007. Each album, concert, clip or broadcast from 1995 – 2002 was intended to be (and was) a distinct step. This period is characterized by the pursuit of sound direction and identity. In the projects of that time different elements have been incorporated: jazz (a line inspired by listening to the album Rosenfole – Agnes Buen Garnås / Jan Garbarek), Celtic music (a la Alan Stivel), Irish (Clannad, Enya), Sami & Scandinavian (Mari Boine Persen, Hedningarna) or ethereal neoclassical world music (Dead Can Dance). It was a time when public appearances pendulated between scenes and pubs. To delineate style areas, Mihai Plămădeală founded several other “parallel” bands of traditional electro world music, like Planxty Burke (1998) and Body In Pieces (2000), projects abandoned after the first concerts. 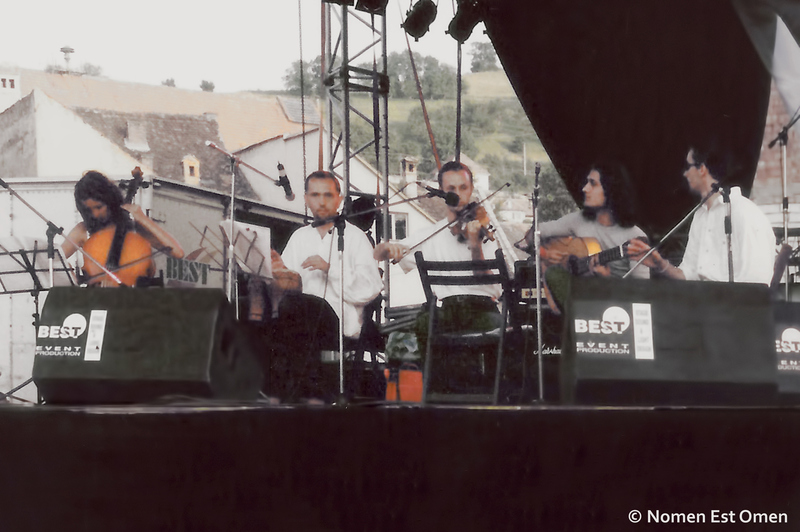 Beyond all the tests and experiments (from the structure, style, repertoire and to the image) the most important fact was that the band became “headline” of the medieval and Renaissance music festivals in Romania. Three years after its first public appeareance, Nomen Est Omen gave concerts in New York and Washington with such a repertoire. Between 1995 and 2010 a part of Nomen Est Omen were also: Laurenţiu Fratoştiţeanu, Iulian Anghel, Adelina Grosu, Larisa Pop, Yumika Nozaki, Tiberiu Gogoanţă, Adam Siminiceanu, Cristian Lazăr, Gabriel Bălaşa, Adrian Grădinaru, Dan Radu, Cristina Luca, Dragoş Dobre, Silviu Gherasimescu, Doina Stan, Oana Mariş, Valentin Turcu, Daniel Ivaşcu, Laurenţiu Cimpoi, Ştefana Parascan, Nicoleta Avădani, Cătălin Simerea, Lidia Simerea, Emanuel Ionescu, Jack Popescu, Marian Gorovei, Alexandru Grigoraş.